This heraldic achievement is located at the former seat of the Swedish garrison commandant in Stralsund. It refers to the era when Stralsund was part of Swedish Pomerania. 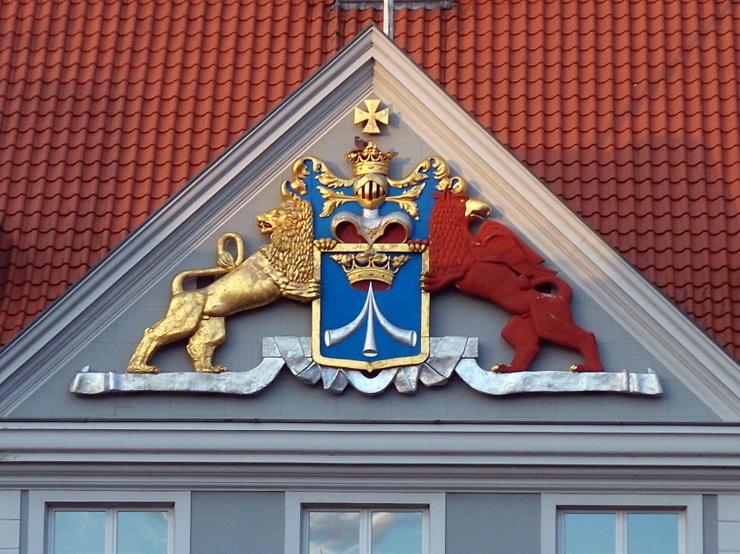 The coat of arms of Stralsund depicted in the blue field is supported by the Swedish lion and the Pomeranian griffin. This entry was posted in Coat of Arms and tagged Germany, Mecklenburg-Vorpommern, Stralsund by Travelwriticus. Bookmark the permalink.